Akron Children’s Hospital dietitian Lindsay Bailey explains what you should know about artificially sweetened beverages. We know consuming a lot of sugar-sweetened soda can lead to obesity and related health problems. Is diet soda OK? It’s all about context. Kids can safely enjoy a range of sweeteners and artificial sweeteners within a nutritionally balanced eating plan. Federal dietary guidelines include limitations on sugar. Guidelines on consuming artificial sweeteners can be found here. With sugar-added or artificially sweetened drinks, the key is moderation. How much do we know about artificial sweeteners? 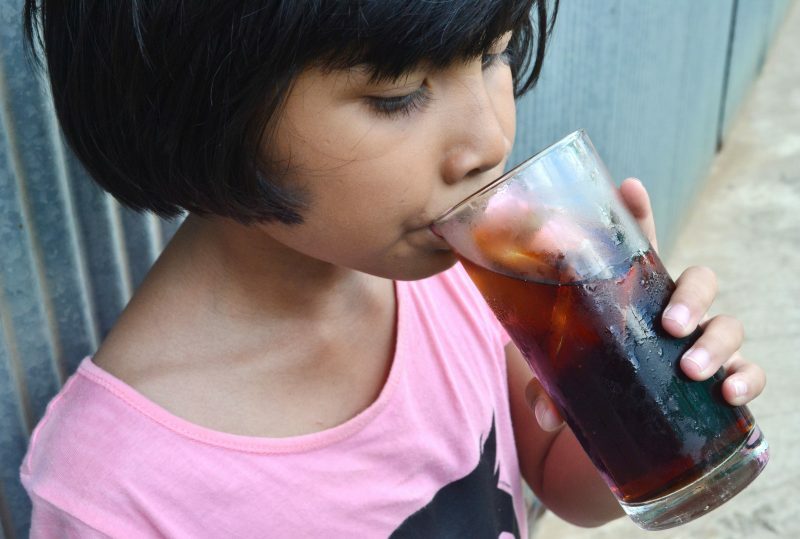 Some parents worry about aspartame and prefer their kids drink sugared beverages to diet drinks. Between sugar-sweetened and artificially sweetened drinks, which is the better choice health wise – or the lesser of two evils? Sugar substitutes and artificial sweeteners are one of the most heavily studied and regulated food additives. Here is the difference between sugar and sugar substitutes: Nutritive sweeteners like sugar contain carbohydrate and provide calories. Higher intake of added sugars is associated with higher calorie intake and lower diet quality, which can increase the risk for obesity, prediabetes, Type 2 diabetes, and cardiovascular disease. On average, adults in the United States consume 14.6 percent of energy from added sugars. The American Heart Association (AHA) recommends limiting the amount of added sugars you consume to no more than half of your daily discretionary calories allowance. For most American women and children, that’s no more than 100 calories per day, or about 6 teaspoons of sugar. For men, it’s 150 calories per day, or about 9 teaspoons. Artificial sweeteners like those in diet sodas sweeten with minimal or no calories. They are regulated by the Food and Drug Administration as food additives. Seven artificial sweeteners are approved for use in the United States: acesulfame K, aspartame, luo han guo fruit extract, neotame, saccharin, stevia and sucralose. All artificial sweeteners approved for use in the United States are determined to be safe in adults and in children. FDA guidelines recommend limits for each type of artificial sweetener. New research suggests diet drinks may lead to weight gain. What are your thoughts? And how can a drink with zero calories cause a person to gain weight? Some research suggests zero-calorie drinks can help people cut calories and fend off weight gain. But in recent years, the idea that artificial sweeteners may trick the brain and lead to “metabolic derangements” has gained traction, too. Newer research has also looked at diet sodas altering our gut microbiomes in a way that increases the risk of metabolic diseases such as Type 2 diabetes or insulin resistance in some individuals. It is important to realize that these findings are preliminary and not large scale, and need additional research. It is too early to make conclusions that artificial sweeteners have negative impact on humans on the basis of limited studies. What are good alternatives to sweetened drinks? Some alternatives to beverages that do not contain added sugars or sugar substitutes include seltzer water, sparkling water or infused waters. Examples of flavor combinations include cucumber mint, strawberry basil or citrus water with lemons, limes and oranges.